The major Canadian real estate markets have continued the similar trajectory experienced in Q2 2017. Vancouver prices continue to increase in all sectors as the impact of the foreign buyer tax reaches its end. The Toronto market’s slump continues, but signs of resurgence are visible. Montreal’s market continues its hot streak due to reduced activity in the Toronto market. However, the leader in Canadian property markets in Q3 2017 was Whistler, with strong quarter-on-quarter and year-on-year growth. 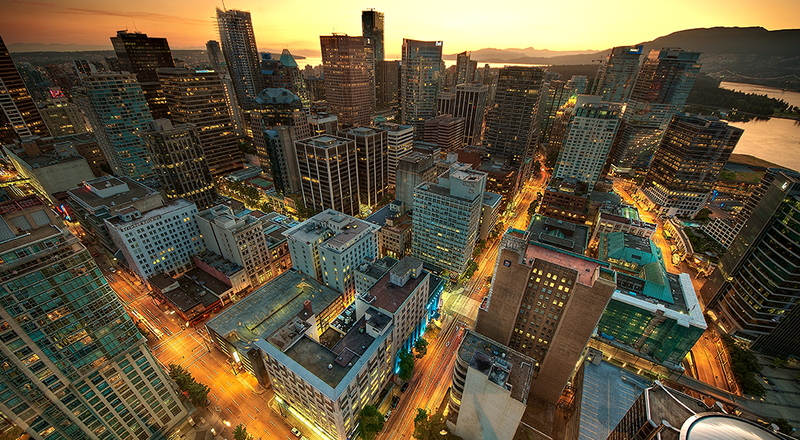 Vancouver has rebounded to its pre-tax highs. Quarter-on-quarter growth has increased since Q2, however, year-on-year price increases are partly explained by the 14 months that have elapsed since the tax was introduced. Single detached home prices in Vancouver West, Vancouver East, and North Vancouver have all experienced year-on-year price growth of 1.3% to 2.0%. The same cannot be said for West Vancouver, which has experienced a year-on-year price drop of 0.8%. These figures demonstrate that prices have increased beyond the levels experienced before the tax’s activation in Q3 2016. The Vancouver single detached market, which was the most affected by the tax, has fully recovered. While the singled detached market has returned to pre-tax levels, the condominium market has soared. Condominium prices, which increased after the tax, have risen year-on-year by an average of 21% across Vancouver, and up to 27% in West Vancouver. While the market in Toronto appears gloomy, the situation has not become stressful. Quarter-on-quarter prices have decreased in Toronto and the greater Toronto area due to the implementation of the “non-resident speculation” tax. However, despite falling prices on a quarterly basis, year-on-year price increase are comparatively high. Q3 prices have declined in most areas, especially in the townhomes (-12%) and single detached (-10%) markets. However, year-on-year prices have increased in all markets. Year-on-year prices have increased by an average of 4.8% for the single detached market, 20% for the condo market, and 6.1% for the townhouse market. This can be easily explained. Toronto was a very hot market for a short period of time before the tax was put into place, which led to a significant rise in prices within a very short timeframe. Yet, despite the tax and the market’s subsequent slowdown, current prices are higher than a year ago (before the tax was implemented) because of the rapid price increase experienced before the tax was activated. Montreal’s market prices continue to increase. Median prices in Q3 have increased 2% from Q2 for single detached homes, 3% for condos, and a slight decrease of 0.8% for duplexes. The main headline is Montreal becoming a desired market for luxury developments, as described by the New York Times: https://www.nytimes.com/2017/09/26/realestate/commercial/a-luxury-building-boom-hits-montreal.html. The Whistler real estate market, despite being relatively small, has proven to be a strong investment option due to strong quarter-on-quarter and year-on-year growth. The single detached home market increased by 10.2% from Q2 and 24.8% year-on-year; the condominium market increased by 16% from Q2 and 36% year-on-year; while the townhouse market saw an increase of 0.4% from Q2 and 9% year-on-year.